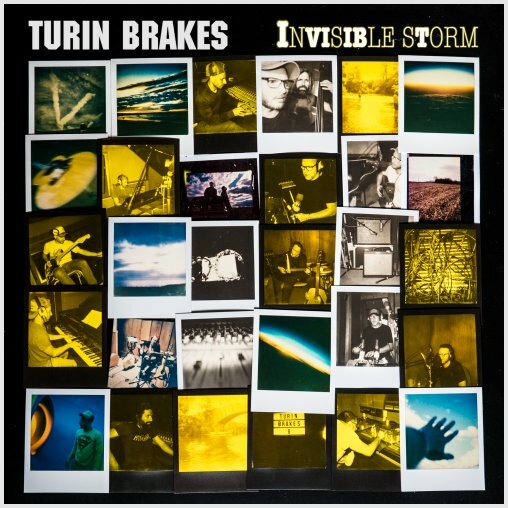 It’s always a good time when Turin Brakes come to The Netherlands. Usually, when the end of the year comes round, I have seen Turin Brakes quite a few times already. This is especially true for an album release year – like 2018 is. But this year I’ve only seen the band live once – in Utrecht back in April. So it’s great to see the band back in action right before the busy holiday season. Of course, the band are off as special guests on the Travis tour in December, but for me, this is the close of my Turin Brakes live year, and I hoped to make the most of it. The band played four shows in The Netherlands and Belgium. After kicking off things in Luxor Live, Arnhem, the band drove to Leuven (Belgium), then back to the The Netherlands for two shows in Tilburg and Amsterdam. I decided to attend the Arnhem show, since it’s close to my home, and dedicate the weekend to my favourite band and attend both gigs on Saturday (Tilburg) and Sunday (Amsterdam). No Leuven for me, this time. It’s a windy, rainy Thursday night. I ran out of the office entrance as soon as I could to take the train home. This time however, I departed the train one hour early and met up with my friend Maurice. We had an oversized pizza close to the train station (and near the back entrance of the venue). Afterwards we met up with our friend Maggie and ran into Ed, as well as Max from Dog Byron, supporting Turin Brakes for the third time in as many years. Other familiar faces here tonight are Mounira from The Hague and one of two die-hard fans from Groningen, who I’ve seen at Dutch and German TB gigs throughout the years. Not much later it’s showtime for that support act. Dog Byron take the stage as the room of Luxor Live is slowly filling up. Dog Byron just released a new song called Home, which is part of tonight’s set, as well as some older songs and a Radiohead cover. The trio has become a quartet, like TB these days, with a keyboard player adding some extra layers to most songs. It’s a nice set and serves well to warm up the crowd. Twenty minutes later, the stage is for Turin Brakes. Kicking off with the rocky Would You Be Mine and poppy Wait and Life Forms, we quickly get an idea of the current state of Turin Brakes songwriting. After which the band dive into the back catalogue with Future Boy and the amazing State Of Things. I don’t think I’ll ever tire of these songs. The rest of the set is a lovely mix of old and new. We dance along to Lost in the Woods, and drift away on the lovely Rain City. Painkiller and 72 have the crowd cheer, after which the surprising appearance of deep album cut Above The Clouds. I don’t think I’ve ever heard this song live before, and I understand we have Love Island to thank for its inclusion. I’m kind of disappointed Invisible Storm doesn’t make an appearance as either a set closer or late set highlight. Instead we get Black Rabbit as the set closer, which get especially epic with its extended outro. The set is mostly without incident and the band is working out great together. The only thing is that Gale’s electric guitar string gives out halfway through the set, making sure the set becomes a bit more acoustic than usual. Still, overall this is a very rocking set. In moments, such as during Don’t Know Much the band become a little more quiet, but overall they build a proper wall of sound, which is very along the lines of Lost Property and Invisible Storm. All in all, a great night, to a pretty packed venue in a city the band never played in before. On Saturday night, I head to Tilburg with my girlfriend for another night of TB fun. Turin Brakes face some heavy competition tonight in Tilburg. Besides it being a regular good old Saturday party night, there’s also a big party in town organised by one of the biggest radio stations in the country (which explains the many people dressing up in colourful weird clothing). And in the bigger room of 013, Level 42 is playing, which has Turin Brakes all excited during the gig (both acts will meet after the show). Anyway, the competition is showing in tonight’s room: sadly it’s little over half full, which is always an uphill battle to climb for both the support and our main headliner band. However, by the end of it, Turin Brakes have done alright in winning them over, cracking jokes and playing great songs. Due to some miscommunications by the venue, Dog Byron are just playing their final notes of the night by the time we enter the venue. Sadly we missed their set, but at least it means we don’t have to wait long for Turin Brakes to come on. They play a similar set to Thursday night, and it’s nice to sing and dance along, especially when there’s some room to dance along to. Once again, Gale’s guitar string gives out halfway through the show, though this time Dog Byron’s lead singer is on hand to fix things in a matter of songs. This means Gale can continue onwards and play his riffs on his favourite guitar. It’s a good night, with Last Chance and Everything All At Once sounding particularly fine this evening. Myself, I wasn’t feeling too well at the start of the night, but the music lifts me up and in the end we even end up going for a drink with a group of fans that made the journey. The final show I attend is the final date of this whirlwind tour. Turin Brakes played this venue before, and while this show isn’t apparently sold-out, it’s as full as it was last time, so there isn’t as much room for dancing as you would hope for the rockier moments of the show. Turin Brakes are happy to be back here, referring to the moody / devilish stained glass windows as “family portraits”. The mood turns out to be joyful and the crowd is excited. The night is all good fun, in my memory, and Turin Brakes seem to be enjoying themselves a lot too. Which is a good sign… 🙂 In this case, Gale’s guitar strings do their duty all night and Ed and Rob seem to put in some extra effort as well… 🙂 Olly mentions his memory “glitching” these days, when it comes to some lyrics, despite playing many of tonight’s songs for years and years. Fans are more than happy to soufflé the lyrics for him, when Gale’s too slow to feed the lyrics to Olly instead. Afterwards it’s time for drinks as slowly the venue crowd departs. Some nice beers, some great conversations and a goodbye to the familiar faces later, I look back at a great weekend with friends and dare I say family… Thanks to all the people I spoke with throughout these three gigs, thanks to the band for three excellent shows (but next time: please play Invisible Storm eh!). Let’s do it all again sometime!